Last month, Elite Sports Builders partnered with the City of Glendale and the NCAA to create a totally unique basketball complex in celebration of the NCAA Final Four Tournament being hosted by the City of Glendale. 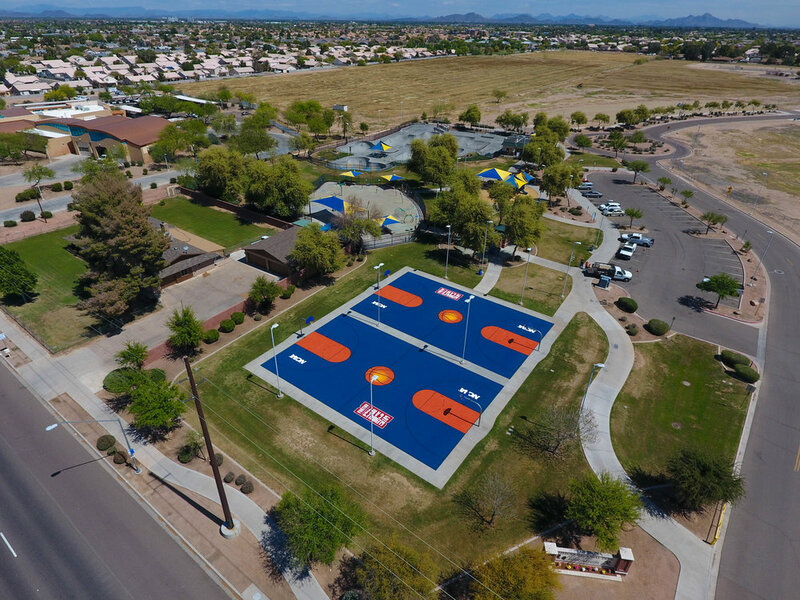 Glendale Heroes Regional Park was the site selected for this special project, renovating the two existing basketball courts on this site which now reflect a vibrant NCAA theme. 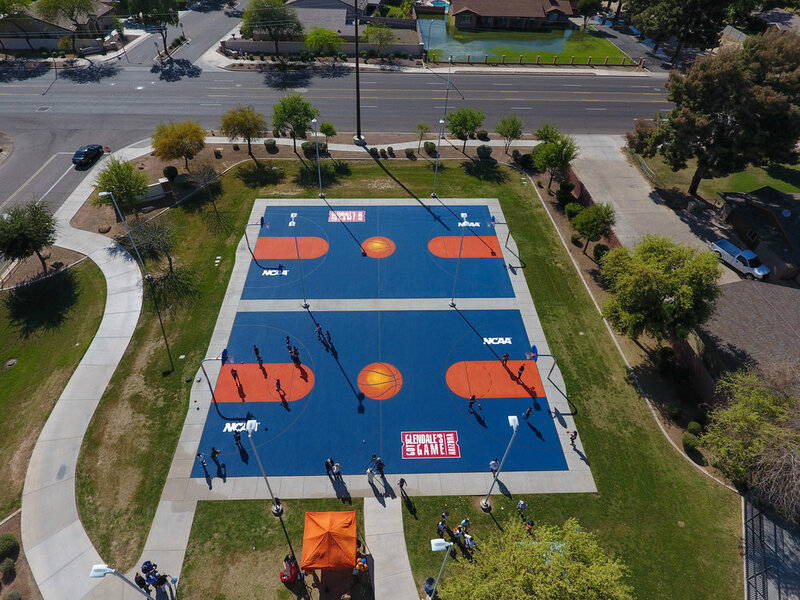 The courts at Glendale Heroes were completed in less than a month in order to prepare for the city's highly anticipated NCAA unveiling this past weekend which also featured the park's first on-court game played by the local students of Discovery Elementary. According to a write-up on the event by Glendale Daily Planet writer Randy Miller, these newly surfaced basketball courts are among the most utilized in Glendale. Also noting a response from Glendale Mayor, Jerry Weiers. "This will be the first time the Final Four has been played west of Texas since 1995; it is a real achievement." — Mayor Jerry Weiers, Glendale Ariz.
Attendees of the celebration included MC Mark McClune of CBS 5, AZ Interscholastic representative Harold Slemmer, Final Four Executive Director Dawn Rogers and many more. Each was given a custom Final Four basketball to celebrate the occasion. You bring the sport... We'll bring the surface. © 2014 Elite Sports Builders LLC. All Rights Reserved.